If you’re in pain and losing your function, the team at Synergy Healthcare is here to help you. Our aim is to get you results as quickly as possible, alleviating your discomfort. Whether you’ve experienced an acute injury or have had chronic problems, we welcome the opportunity to assist you in resolving them. 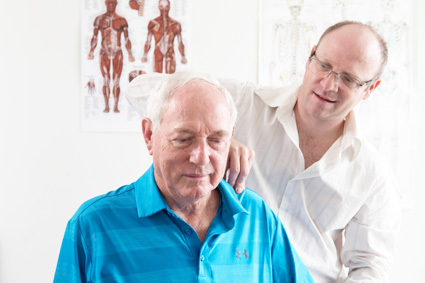 Our chiropractic treatments typically involve a combination of soft tissue work, joint mobilisation/manipulation, electrotherapy and exercise rehabilitation, depending on what you require. All ages of golfers can experience problems. If you don’t seem to swing the club as well as you used to, or it’s causing you pain, we can evaluate you. Chiropractors Rian Kenny and Andrew McHardy have trained with the Titleist Performance Institute and can provide treatment specific to your golf-related concern. Contact our friendly Sylvania Waters team today to book your first appointment!